The once definite borders between hip-hop, pop, and R’n’B have never been so blurred, and Barny Fletcher looks to be the next artist to warmly embrace free movement between genres. 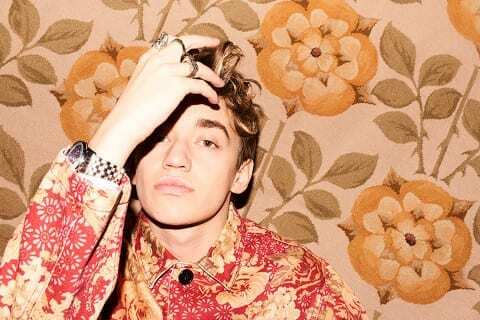 Originally hailing from Milverton, Fletcher has quickly found his feet in London, and last year signed to TaP Music alongside the likes of Dua Lipa and Lana Del Rey. Since then, he’s been working hard to put together a premier mixtape, enlisting help from renowned producers, DJ Shadow and Cadenza amongst others. Following the success of ‘DOUGH’, a track released on Soundcloud and Youtube in late 2018, Barny landed himself on playlists for Radio 1 and 6 Music Playlists. That track bounced between hip-hop, pop, and neo-soul, but his latest offering hones in on his ability to rap. ‘Christ Flow’ isn’t a track yearning for deeper meaning. The hook itself, “it ain’t about much but it sounds tight though”, acts as something of a glue to connect the weird and wonderful thoughts which emerge from Fletcher’s brain and materialise over an 80s game show synth and a furious bassline. The video for the track is worth a watch as well – think Pulp’s ‘Common People’ supermarket scene… on acid. As the lead single off an unreleased debut mixtape likely to be influenced heavily by hip-hop and pop, Barny is also keen to emphasise the breadth of his taste and talent. At just 20 years old, Barny Fletcher is looking to shake up the ever-homogenous market of popular hip-hop and, in turn, is quickly asserting himself as one to watch in the near future.